Diamond Details:62 round brilliant cut white diamonds, of F color, VS2 clarity, of excellent cut and brilliance, weighing .42 carat total. 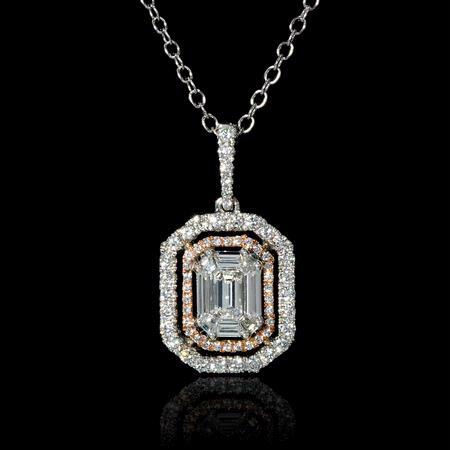 Gemstone Details: 1 Mosaic center of 1 emerald cut, weighing 0.23 carat total and 8 baguette cut white diamonds, weighing .30 carat total. 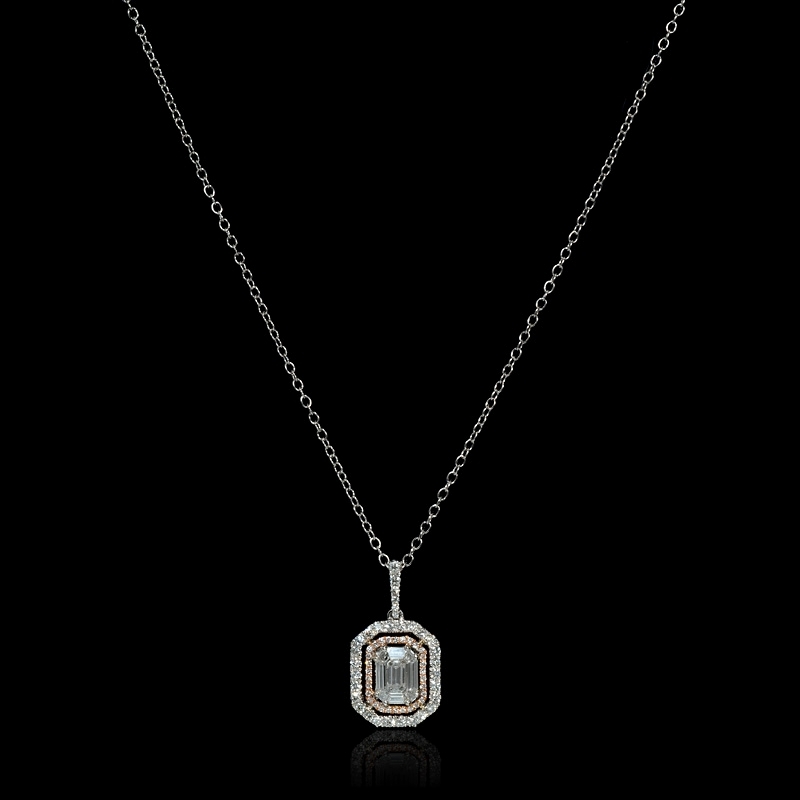 Pendant Details: 18k white and rose gold. Measurements: Pendant measures 20mm in length and 15mm at the widest point. Please not that the chain is sold seperately. 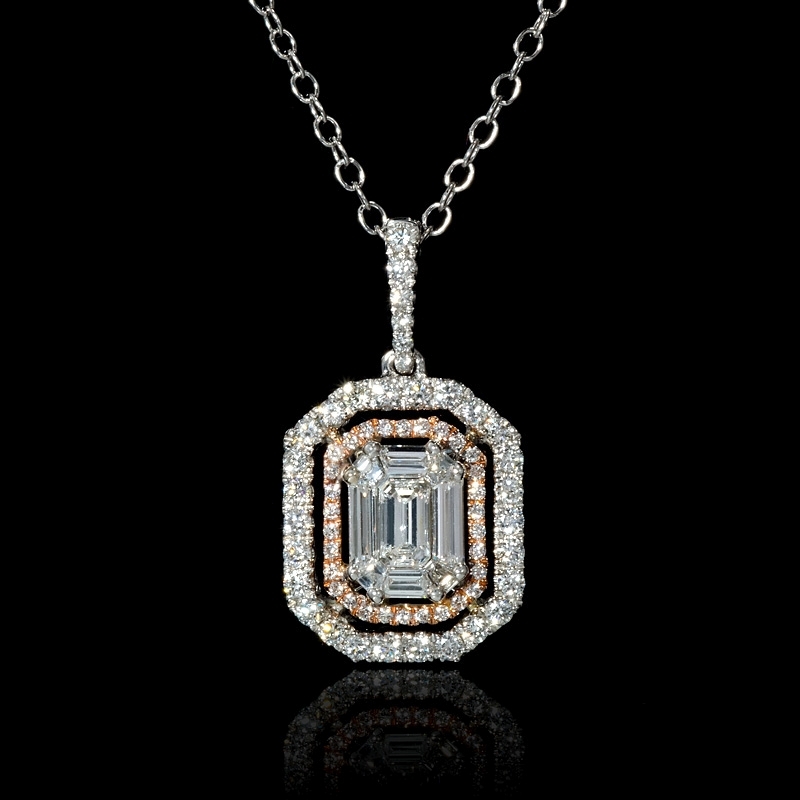 This amazing 18k white and rose gold pendant, features 1 mosaic center of 1 emerald cut and 8 baguette cut white diamonds with 24 round brilliant cut white diamonds, of F color, VS2 clarity, of excellent cut and brilliance, weighing .95 carat total. Please note that the chain is sold seperately. 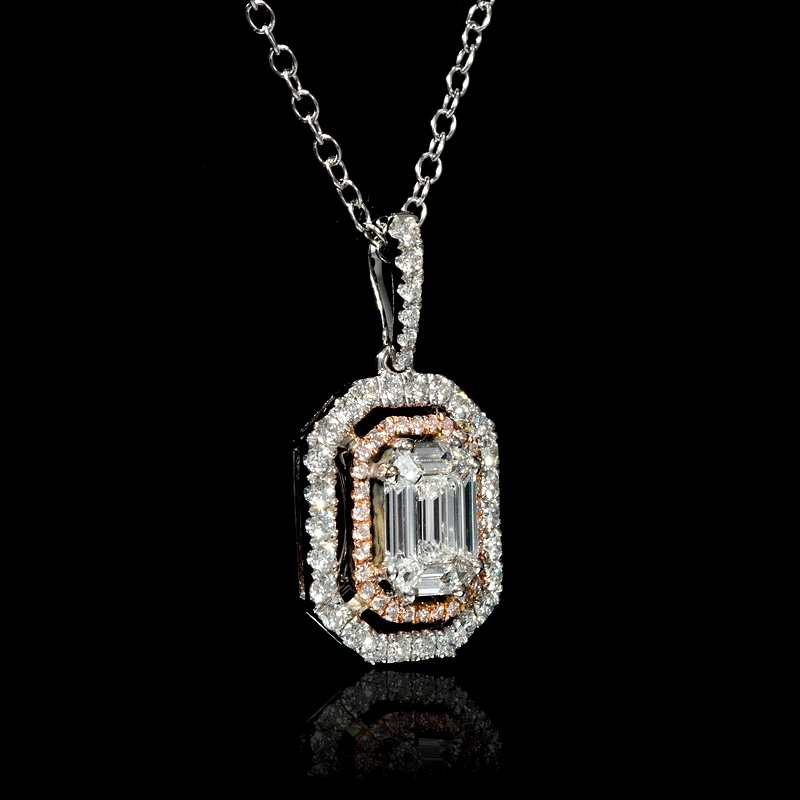 The Pendant measures 20mm in length and 15mm at the widest point.